I-294 South to I-88 (West to Aurora). Exit I-88 at Naperville Road (Freedom Drive), turn left and go two stoplights to Diehl Rd. Turn right on to Diehl Rd. and then Turn left. At the first street (Legacy Circle). The Sequoia Office is on you left. The Courtyard by Marriott located directly across the street from the Sequoia office. I-55 west to I- 355 North to I-88 (West to Aurora). Exit I-88 at Naperville Road (Freedom Drive), turn left and go two stoplights to Diehl Rd. Turn right on to Diehl Rd. and then Turn left. At the first street (Legacy Circle). The Sequoia Office is on you left. The Courtyard by Marriott located directly across the street from the Sequoia office. I-290 West (Eisenhower Expressway) to I-88 (East-West Tollway to Aurora). Exit I-88 at Naperville Road (Freedom Drive), turn left and go two stoplights to Diehl Rd. Turn right on to Diehl Rd. and then Turn left. At the first street (Legacy Circle). The Sequoia Office is on you left. The Courtyard by Marriott located directly across the street from the Sequoia office. 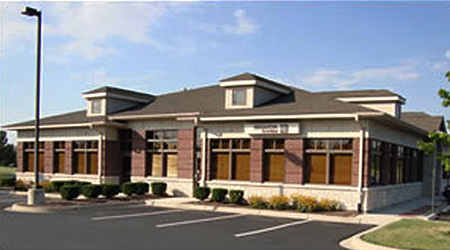 In March 2009, Sequoia System completed construction of a new training facility and corporate headquarters at 1515 Legacy Circle in Naperville, IL. Sequoia’s new location offers many advantages to our clients. Its central location and business friendly technology make it both cost-effective and suitable for business professionals. The facility enhances an already positive client experience. The training rooms can also be used by our clients for pre-and-post program meeting space. Sequoia’s new facility is conveniently located approximately 30 minutes from Chicago’s O’Hare and Midway Airports. The location is within walking distance to several hotel and dining accommodations.